Governor Terry Branstad and Agriculture Secretary Bill Northey have called a news conference for this afternoon to discuss the effort to combat the bird flu outbreak in Iowa’s chicken and turkey operations. Northey announced five new probable cases of the bird flu Thursday afternoon, bringing the total facilities impact so far to 17. Those cases are all located in northwest Iowa and include around 15-million laying hens, or one quarter of the hens in the state. Industry officials were on the conference call Thursday with Northey. Iowa Egg Council and Iowa Poultry Association executive director, Randy Olson, was asked whether Iowans are calling the organization with concerns. Olson says while the avian flu has hit some operations in the state, there is no reason for consumers to be concerned about the products they are buying.”We are taking every opportunity to remind people that eggs are delicious and nutritious and safe to eat,” Olson says. The executive director of the Iowa Turkey Federation, Gretta Irwin, had the same response. “My calls right now are still my farmers and the companies that continue to work with the farmers, of how we can support them and get them through this difficult time to help these families mitigate this as they have never had to face anything like this before in our industry,” Irwin says. 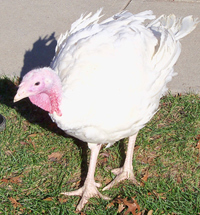 Thousands of turkeys will also have to be destroyed after becoming infected with the disease. Ag Secretary Northey said Thursday they were still evaluating to see if they need to declare a state of emergency. The Wright County Supervisors declared a state of emergency in their county Thursday, even though there have been no cases of avian flu in the county.